We will do this in different cities, all at the same time but different weekend’s in the same month of April! It's magical. There were helicopters filming it last year and the one before that. A huge thanks to our sponsor that hasn’t come into our lives yet. We love you already! Event purpose and point: Fun + very mild fitness. Collecting for our Charity ‘For Lots of Dogs’! You can just come along and 'dog stalk' or 'stare at other people's dogs' from a distance. Obviously if you own a dog, bring your dog. Or if you own a bunch of dogs, bring all of those dogs. But this year we are doing it for our brand new charity ‘For Lots of Dogs’ because we just love dogs heaps. 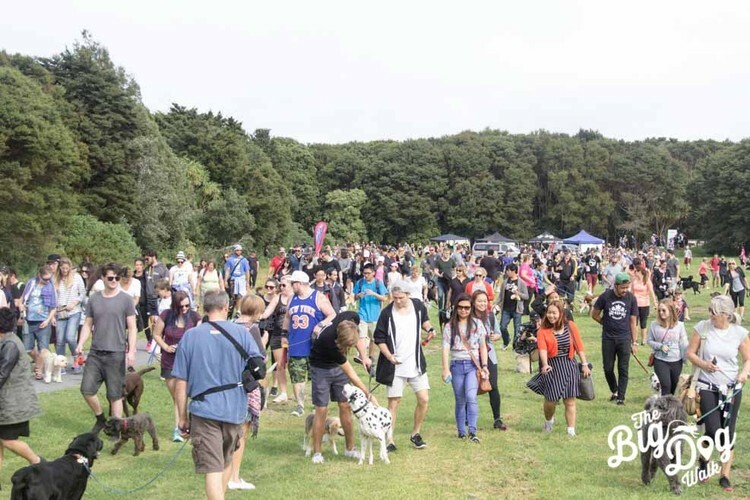 There will be koha gold coin entry to the event on the day and we will have ‘Woof Packs’ filled with treats and branded gears. All of the profits will go to our Charity! Every year we support different charities with our events. But we’ve managed to make some good mates in the pet industry now so that we can feed lots more dogs from all sorts of local charities that share the same purpose of helping dogs! Every dollar you donate goes into a fund for us to distribute food for dogs in need which we have managed to hustle for super cheap. ‘For Lots of Dogs’ is like a funnel for food and good vibes to support heaps of other dog charities who work hard to help dogs. We’re all over this. We have an awesome Sponsor for this sorted already so stay tuned. We work with the council, Animal Control Services and local vet clinics to make it all safe and sound. It's actually super legit, people were stoked last year. - We need dogs. Lots of dogs. If you have access to lots of dogs, please get in touch.